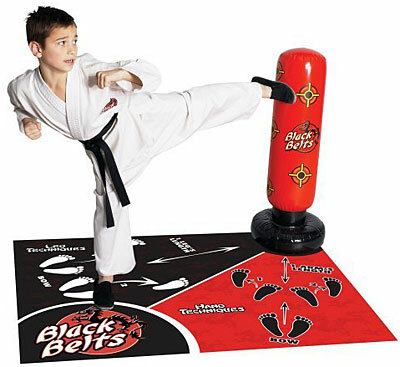 Become a Karate Master at home with the black belts karate home studio. Learn blocks, stances, and kicks. Comes complete with a thirty-minute action packed video, training mat with easy step by step instructions, and an inflatable heavy bag to master your moves. Become a karate master as you learn karate moves.